Despite popular belief, secure-by-default settings are slowly becoming the norm and the dev community is gradually learning common pitfalls. 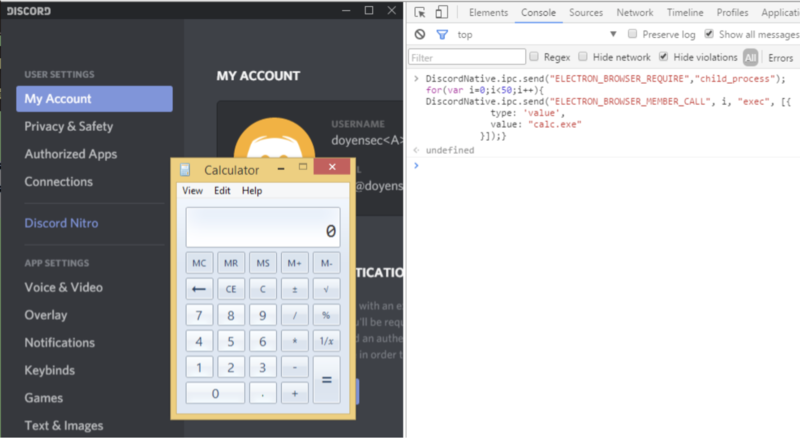 Isolation is now widely deployed across all top Electron applications and so turning XSS into RCE isn’t child’s play anymore. BrowserWindow preload introduces a new and interesting attack vector. Even without a framework bug (e.g. nodeIntegration bypass), this neglected attack surface can be abused to bypass isolation and access Node.js primitives in a reliable manner. Through performing numerous assessments on behalf of our clients, we noticed a general lack of awareness around the risks introduced by preload scripts. Even in popular applications using all recommended security best practices, we were able to turn boring XSS into RCE in a matter of hours. 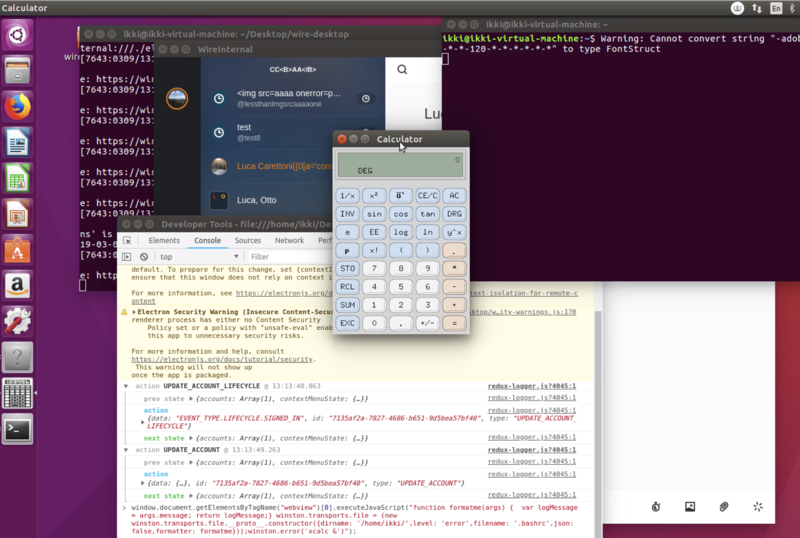 In this blog post, we will analyze a couple of vulnerabilities belonging to group (2) which we discovered in two popular applications: Wire App and Discord. For more vulnerabilities and examples, please refer to our presentation. Wire App is a self-proclaimed “most secure collaboration platform”. It’s a secure messaging app using end-to-end encryption for file sharing, voice, and video calls. The application implements isolation by using a BrowserWindow with nodeIntegration disabled, in which a webview HTML tag is used. Code running in the isolated renderer (e.g. XSS) can override the logger’s transport setting in order to obtain a file write primitive. This issue affected all supported platforms (Windows, Mac, Linux). As the sandbox entitlement is enabled on macOS, an attacker would need to chain this issue with another bug to write outside the application folders. Please note that since it is possible to override some application files, RCE may still be possible without a macOS sandbox bypass. A security patch was released on March 14, 2019, just few days after our disclosure. Without going into details, this script is basically a wrapper for the official Electron’s asynchronous IPC mechanism in order to exchange messages from the render process (web page) to the main process. As there’s no separation between application-level IPC messages and the ELECTRON_ internal channel, the ability to set arbitrary channel names allows untrusted code in the renderer to subvert the framework’s security mechanism. This issue affected all supported platforms (Windows, Mac, Linux). A security patch was released at the beginning of 2019. Additionally, Discord also removed backwards compatibility code with old clients.